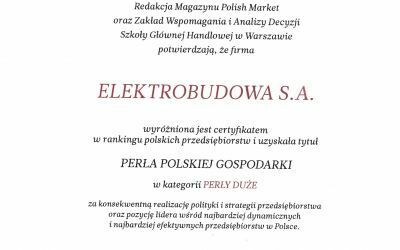 Yesterday ELEKTROBUDOWA SA was awarded in The Best Annual Report 2017 contest, for the greatest progress in reporting, organized by the Institute of Accountancy and Taxes. 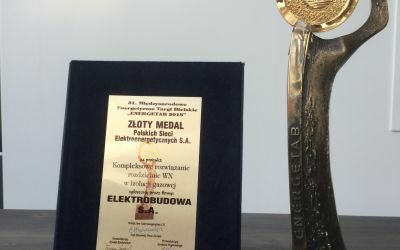 The Competition Committee of ENERGETAB has appreciated ELEKTROBUDOWA’s innovative approach to the offer in the HV segment. 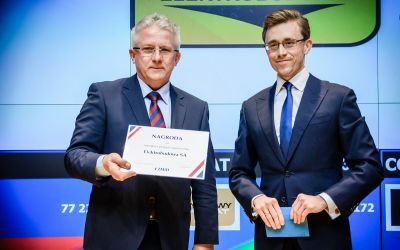 The Company offers its customers not only gas-insulated switchgear Optima 145 but also a full package of associated products and services which will provide comprehensive solutions, such as monitoring of the operating status or hazard detection and prevention. 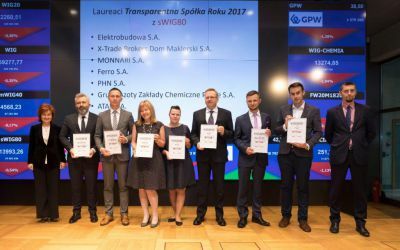 The ranking results were announced on 25 April 2018 on the premises of the Warsaw Stock Exchange (GPW), with the representatives of the GPW, listed companies and investors present.